Reviewed after completing the game. I was surprised at how much fun I had with this mystery-solving game, based on the ancient little-known order of the Knights Templar. 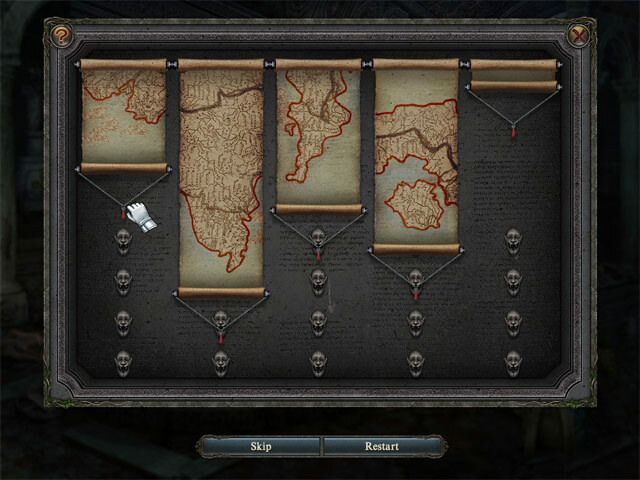 The plot is pretty complicated, but luckily the player doesn't have to keep track of all the turns and twists. I found the artwork absolutely gorgeous, more like fine book illustration. There is one scene in particular, of a snowy landscape, that I wish had been made available as wallpaper. When the characters speak their mouths don't move (as in old-style games), but it is completely appropriate given the art style. Each new location is introduced with a a birds-eye cityscape scene, and functions as a location map. Among the buildings tiny moving figures engage in day-to-day activities,appropriate to the period. This is a charming touch, and not overly cute. The hidden objects were pretty difficult to find, which I like, although it caused some eye strain as it did for some other reviewers. The objects are different enough that it doesn't become tedious. 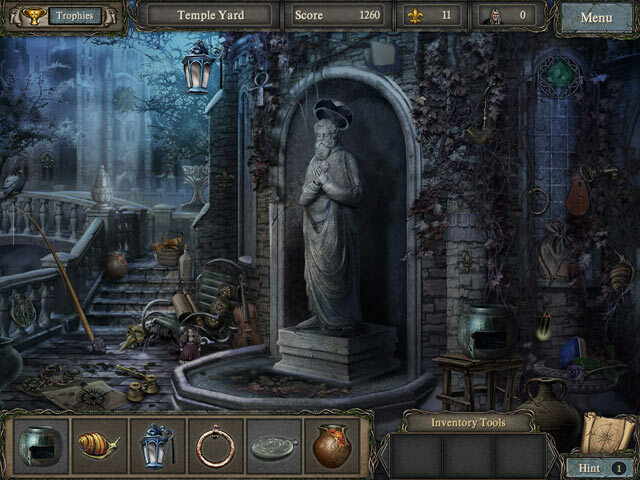 As the main focus of the game is "looking for clues," several scenes are visited more than once. The main character/narrator was very personable and appealing, as was his pleasant voice. (The voice the creators gave to the female character, though, was extremely irksome, to the degree of fingernails on a chalkboard. ) There are trophies and awards to win (which I discovered a little too late), based on how many assassins you spot and shoot, and how many "special objects" you find in each scene. After the game is completed, there is a bonus HOG, where there are three new rooms to explore, but access depends on how many bad guys you are able to shoot. I am very fond of this game, obviously, and am looking forward to trying the other Golden Trails game(s). Golden Trails 3 is exactly what I've been asking for..a true HOG, just like in the "old days". This game is challenging enough for those of us that want "just" HOG's to play. 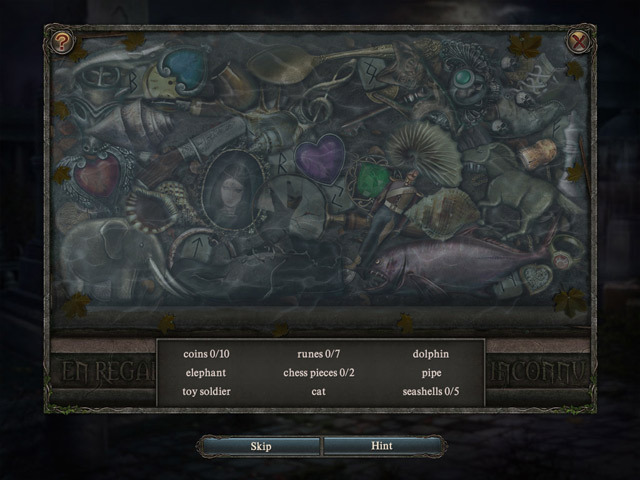 There are the occassional puzzles but they can be skipped. The graphics are beautiful, music is pleasant and and storyline is interesting. Please keep creating this type of HOG, without adventure, for those of us who love games like this. Golden Trails 3 doesn't let you down! This game was beautiful to watch and it wasn't saturated with too much dialogue. What surprised me was this game went on for a very long time, I kept waiting for it to end and I feel like I got my money's worth on this game. I liked the trophies to try to get. CE Quality ... Lots to Do! I've always enjoyed the Golden Trails game. This is probably my favorite. For a SE this one has some of the qualities of a CE game without having to pay the price -- Achievements, collect 150 items to get extra play, find special objects that sparkle, plus hidden object scenes. You also have a map that at a minimum lets you know areas that you still have things to do, and yes, it takes your there. Finally, you can collect extra hints throughout the game by shooting the bandits. Another plus for this game is its replay value. I started the game three different times to see if the objects change, and Yay, they did. There are also mini-games. While this is not a difficult game to play, I'm enjoying it. Kudos to the developers. So for the great price today, you can't go wrong. I've purchased the game and I'm enjoying it. I love this game! I don't recall Golden Trails 1 and 2, but this one is fantastic. The voiceover actor is wonderful so we don't get sick of his dialogue, but you can skip any dialogue you wish. There are dozens of beautiful locations, with a couple of rooms at each site. With a detailed map to show us the cities (Paris, Rome, maybe more), we always know where we're going and how many things we have to find at each place. We earn trophies for reaching various levels, and unlock unlimited play and bonus play as we find more and more of the surprises. The plot is a good mystery, but it's not gory or creepy. It's just fun. It's kept me up way past my bedtime and I'm going to be so sorry in the morning (today). But right now, who cares? It's really been worth it. it's the kind of game that I want to keep starting over to see if I can play it perfectly without hints just to see how far I can go. It's challenging but not exhausting. I didn't lose my place as I have been lately in some of the more complicated HO games. This one is really just fun and beautiful, too. This game has excellent graphics and a clear speaking voice. Under different Profiles, you can play this game over-and-over and have different items to look for every time. The only items that stay the same, per each HO scene, are the ones that are needed in other scenes. Some items are partly hidden, and others somewhat blend into the background. That makes for a challenging search. The placement of the Fluer-de-lis changes with every new profile. I am on my 2nd time through the game, and enjoying every minute of the challenge of searching for different items. I almost forgot to add, you get to shoot bandits to get extra hints. Keeps you on your toes. Enjoy the game everyone. Sometimes you get a game that you fly through, then other times you get one that really challenges you not to use your hint button. This game is easy to follow, not to difficult to figure out, but finding the secret places and secret things was a nice challenge. This is Collectors quality without the price.